Spring has arrived... Time to plant! 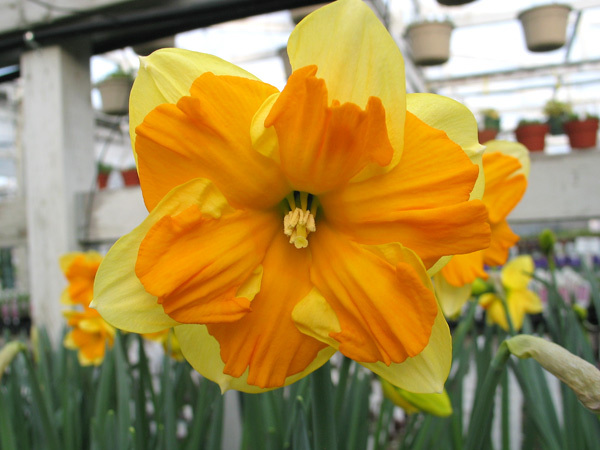 See our selection of early flowers, vegetables, and plants! 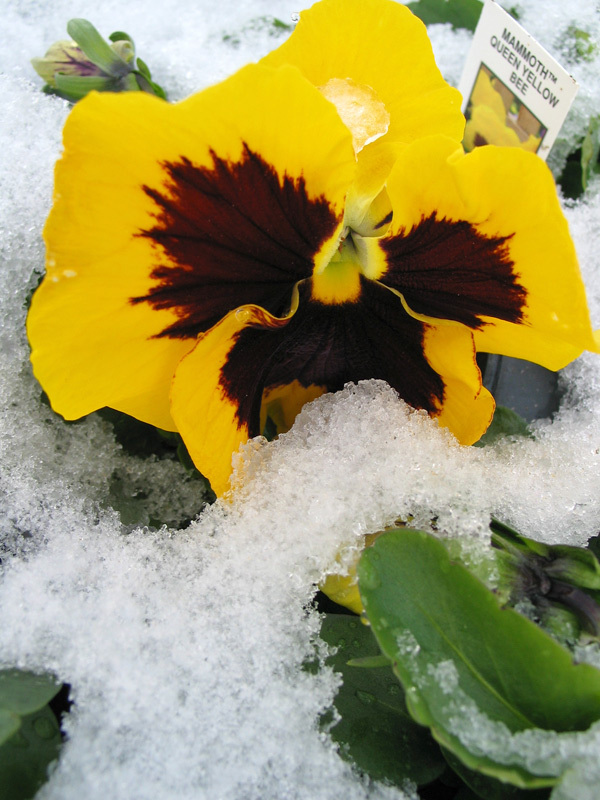 The Queen Yellow Bee Pansies are thawing their petals! 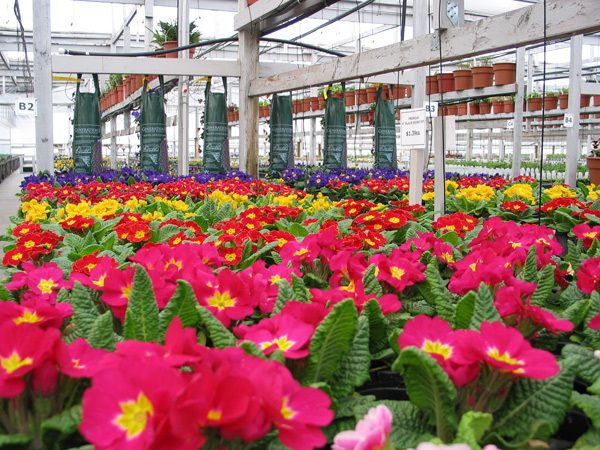 Don't worry about the snow and frost, the cool crop plantings of Pansies, Primulas, Ranunculus, and English Daisies can withstand temperatures to -5° or so. 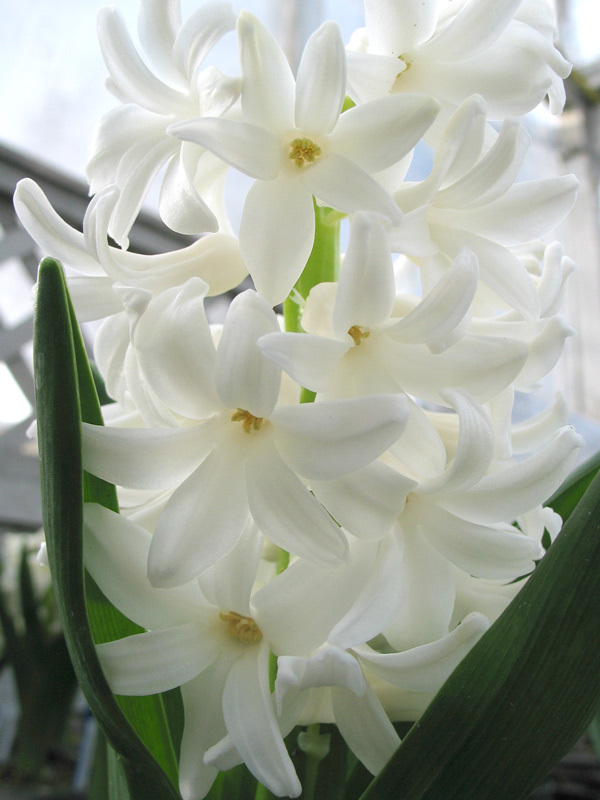 As well as the potted bulbs: Daffodils, and incredibly fragrant Hyacinth! Many perennials are showing new good growth and could be planted any time. There are tables and tables of Spring colour out in selling section 'C' and 'D'. You can also start your early vegetable crops in your garden! Our hardy vegetable section is set up, with a good selection of different varieties of Onions, Lettuce, Cabbage, Broccoli, Swiss Chard, and Peas. 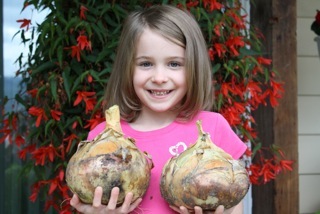 Don't forget we have Kelsae and Walla Walla Onion sets and a full selection of Pacific Northwest seeds. 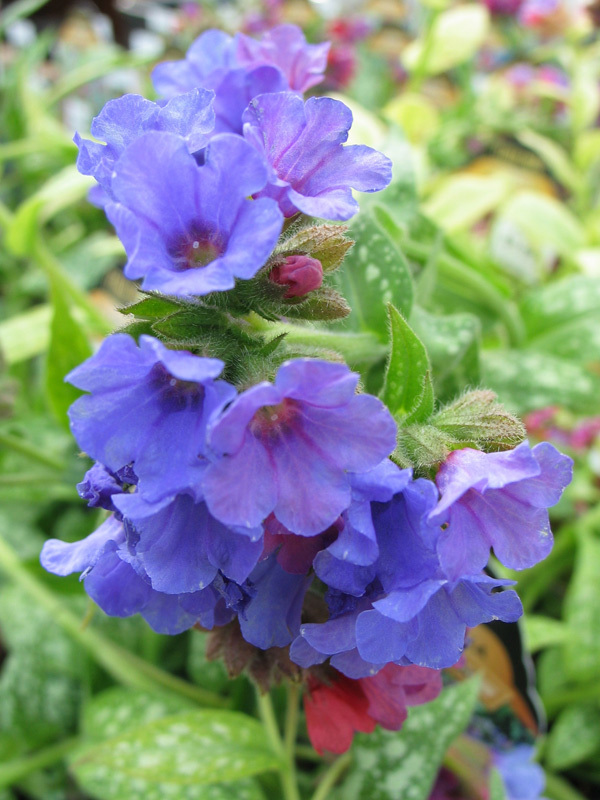 Pulmonaria is a beautiful foliage plant that is topped by strongly coloured flowers in shades of coral, red, and blue in the Spring. These plants thrive here in the Pacific Northwest, but also tolerate our unique Okanagan heat. We love that Pulmonaria are deer resistant, are excellent hummingbird plants and feed foraging honeybees in the early season. The varieties we have available have been bred to be mildew resistant. Pacific Rim Brackets, Baskets, Stands, and More! 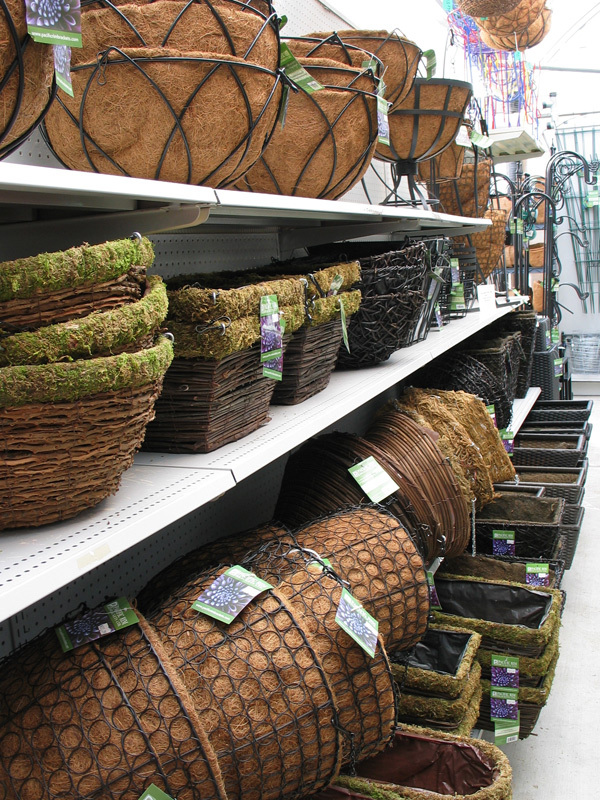 Our order of Pacific Rim wall planters, hanging baskets, coco liner products, plant stands, trellises and hanging brackets are all on display now. It is a great time to get ideas for fixing up that space in the yard or entryway that needs a little added colour and excitement! A selection of seed geraniums are now available, for those people who love getting an early start. 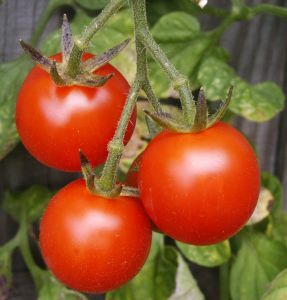 We will be setting up the first batch of four pack tomato plants for Saturday morning as well. This is a selection of some of the basic varieties of cherry, beefsteak, and cooking tomatoes. We have received quite a few phone calls enquiring as to when these would be available, but please remember this is a cold sensitive crop. 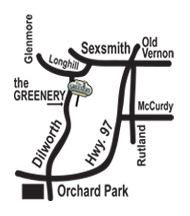 Sharon Hein, enjoy your Garden Essentials Gift Basket!